Eireann Dolan is not happy with her state's attitude on accepting refugees from the conflict in Syria. Dolan, a writer and broadcaster, lives in the Bay Area for about half the year while her partner, Sean Doolittle, is pitching for the Oakland A's. But like many baseball people, their official residence is Arizona. That state's governor, Doug Ducey, has called for an immediate halt to resettling any refugees there, in light of the terrorist attacks in Paris on Nov. 13. The governors of Dolan's home state of Illinois, Bruce Rauner, and Doolittle's home state of New Jersey, Chris Christie, have made similar statements. So Dolan decided to do something more than complain. She contacted Chicago's Syrian Resettlement Network and arranged to host the families they're working with at a Thanksgiving dinner next week, when she'll be visiting her family in Illinois. About three weeks ago, my grandfather James Dolan passed away. One of his favorite holidays was Thanksgiving. When his family came to this country, it was one of the first American traditions they embraced. I have so many memories of him at Thanksgiving with his wife, their ten children and their children’s spouses, and their children’s children – all thirty of us grandkids. It will certainly be strange to have a Thanksgiving celebration without him. But I know a way we can still have him there with us. We can bring one of his earliest associations with American hospitality and togetherness to local Syrian refugees. Dolan knows that not many of us have the ability she and Doolittle have to buy dinner for a dozen or more families. But, she writes, that shouldn't stop people from doing what they can. These people are your neighbors. They need winter coats, non-perishable food, children’s school supplies, and personal items too. If you can’t personally donate items or money, you can donate your time. You can help them build resumes, fill out job applications, or offer job training or English lessons. The Northern California office of the International Rescue Committee has a wish list of Bay Area needs and is hosting its own refugee Thanksgiving dinner in Oakland on Nov. 19. This is not the first time Dolan and Doolittle have made forays into activism. 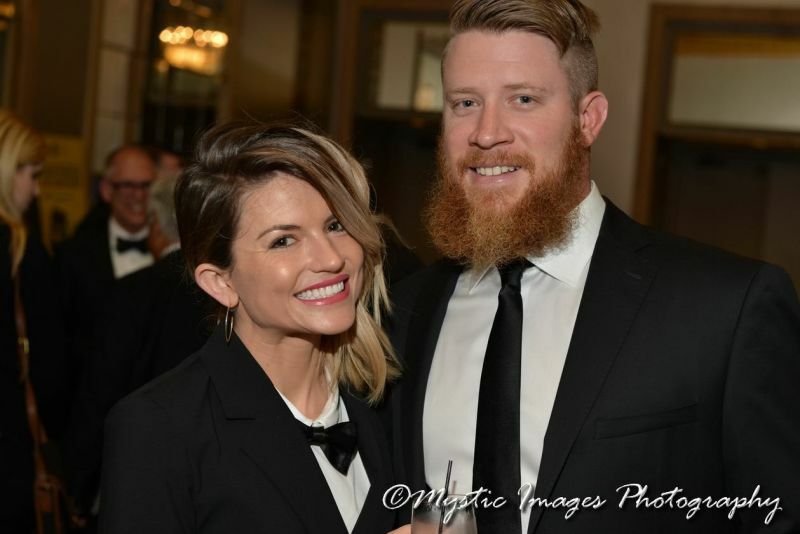 The couple received the Ally for Equality Award from the San Francisco Human Rights Campaign last month for raising money for local LGBT groups as part of the A's first-ever Pride Night.